The Studio Ocean View rooms offer the chance to soak in Pantai Inn’s pristine waterfront location. 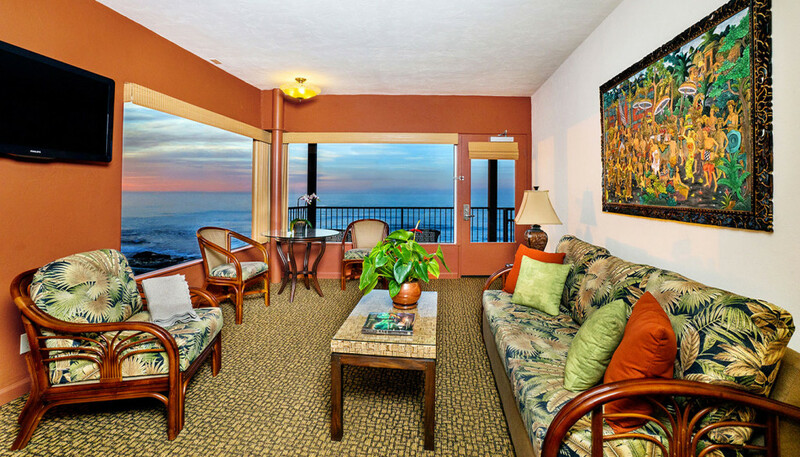 These rooms provide a King bed, wetbar, large flat-screen television and a semi-private patio from which to enjoy the incredible vistas of the Pacific Ocean, Scripps Park and the La Jolla coastline. 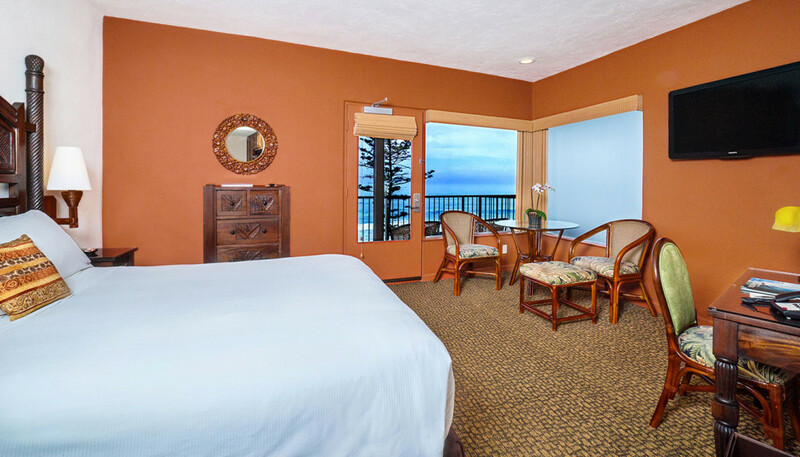 The One Bedroom Ocean View rooms offer spectacular views of the Pacific Ocean and the picturesque La Jolla coastline from the comfort of the patio. These expansive two bedroom villas offer both panoramic ocean views and an elegant Balinese setting, along with two separate bedrooms. 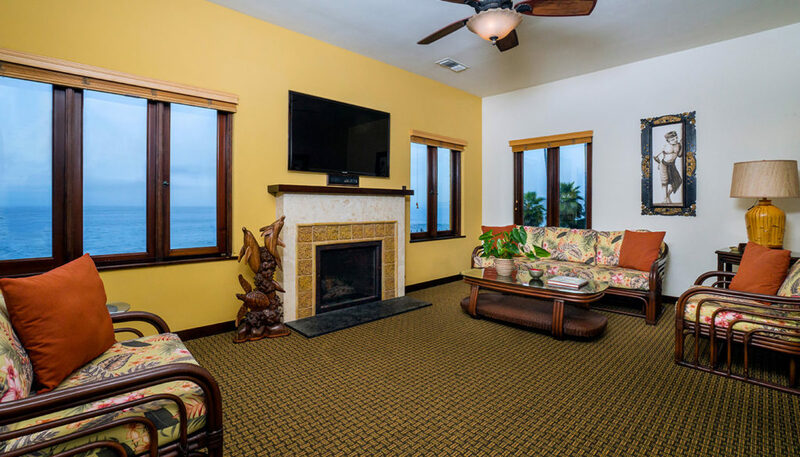 Bask in the glow of the fireplace and enjoy the dazzling views of the Pacific Ocean and the La Jolla coastline as far as the eye can see.